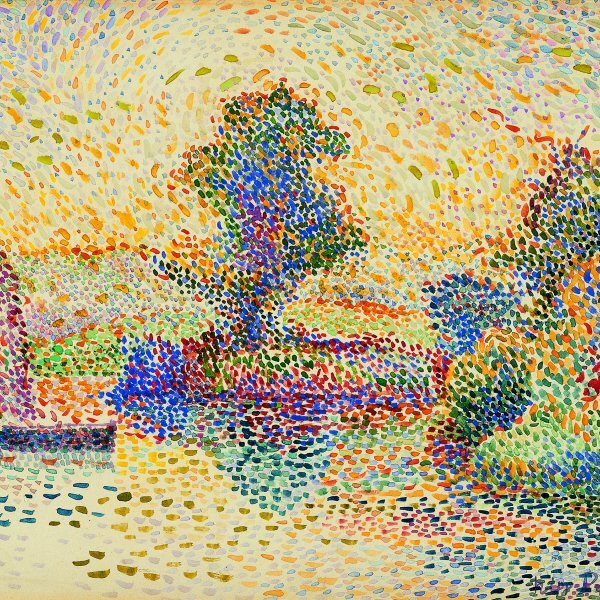 Although, after 1900, the dating of Henri Martin's works is more a question of archives than of stylistic or thematic difference, this painting can be dated between 1914 and 1920. 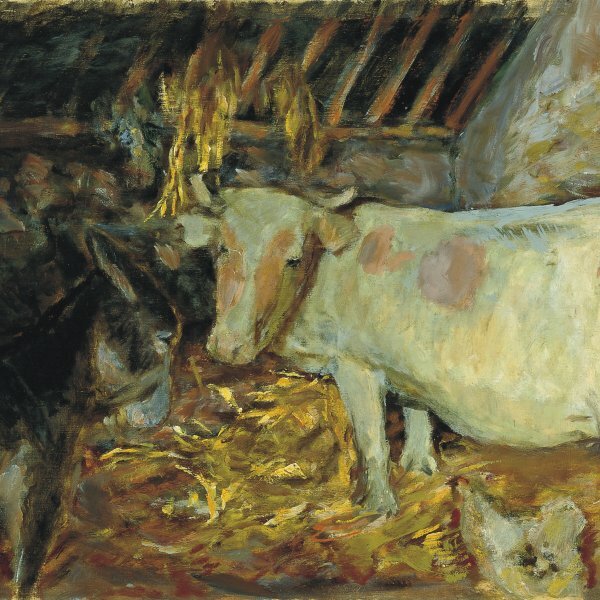 In fact, Martin moved to the countryside only between Easter and the grape harvest (except during the First World War, when he often spent time in Marquayrol), but the sowing season does not coincide with this period. 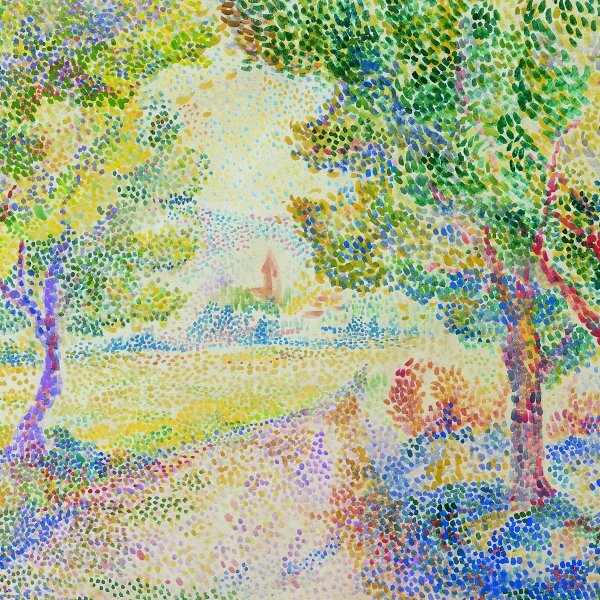 With regard to the technique, the brushstroke's application of the medium seems to be related to Impressionism or neo-Impressionism. However, for Martin this is no more than a technique at the service of the drawing and the composition, which in fact was, and remained for the rest of his life, enclosed within classical aesthetic principles. Sincere and in deep symbiosis with the world of work, be it urban or rural, the artist likes painting man and the land upon which he lives framed by the rhythm of the seasons, as is clear in his correspondence with Le Sidaner, a painter of misty and night scenes and, it seems, his closest friend and fellow artist. In his letters, Martin evokes, with daily emotion, the blues, violets, greens and browns that make up the landscape surrounding him. In this painting of The Sower, the morning light of the Quercy vibrates on the "august movement of the sower" (Victor Hugo) and his outline projects a purple shadow on the ground, which accentuates the dynamism of the subject about to leave the field of vision, conferring on him a sense of real presence. This work, an easel painting executed from nature, is one of the countless studies making up the iconographic and formal material whose subject can be included in the large decorations. The fact is that, in the typology of field labourers in Martin's oeuvre, we frequently find the ploughman, the reaper, the grape-picker, the haymaker, man or woman. However, there are no sowers that we know of, in spite of all the symbolism attached to this image, a detail that adds to the interest of this piece.